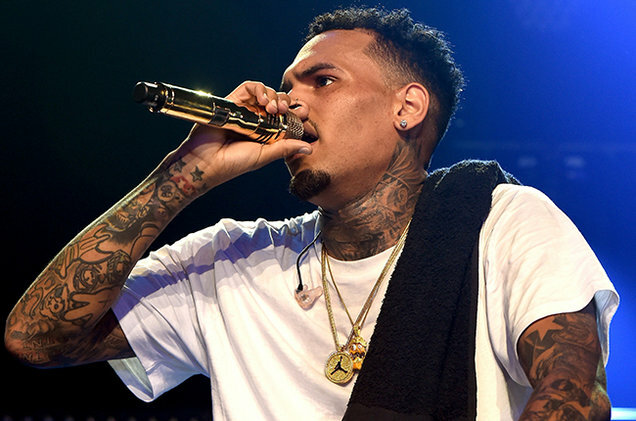 Chris Brown has been arrested for assault with a deadly weapon by the LAPD, NBC LA confirms. It was reported earlier today that Brown was the sole suspect in a criminal assault investigation after he had pulled a gun on a woman and threatened her. Police were notified early Tuesday morning of the disturbance at the home of Chris Brown, which arose from Brown demanding unwanted guests to leave. Conflicting reports were given, with some individuals claiming that the singer was asleep, and others claiming that he was involved. Some reports state that during the standoff between Chris Brown and the police, Brown had thrown a duffel bag that allegedly contained weapons and unidentified drugs out the window of his home, which was ultimately retrieved by the police. According to TMZ, the woman who initially called the police filed an official report, and the LAPD obtained a search warrant. Chris Brown will be taken to the police station to be processed for the crime. We will continue to make updates from this story as they become available. Listen to DJ Premier Remix Desiigner's "Tiimmy Turner"